We describe succinct and compact representations of the bidirectional bwt of a string s ∈ Σ* which provide increasing navigation power and a number of space-time tradeoffs. One such representation allows to extend a substring of s by one character from the left and from the right in constant time, taking O(|s| log |Σ|) bits of space. We then match the functions supported by each representation to a number of algorithms that traverse the nodes of the suffix tree of s, exploiting connections between the bwt and the suffix-link tree. 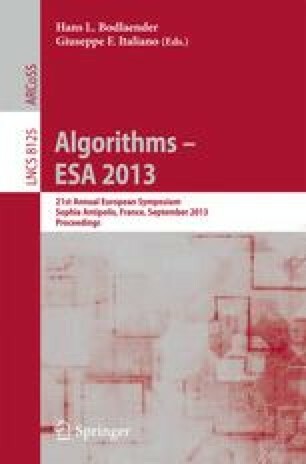 This results in near-linear time algorithms for many sequence analysis problems (e.g. maximal unique matches), for the first time in succinct space. This work was partially supported by Academy of Finland under grants 250345 (CoECGR) and 118653 (ALGODAN).